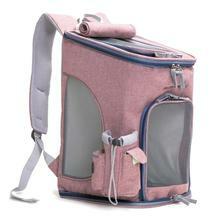 Very beautiful bag transport, also very convenient and firm. The date of receipt of the Post Office was three weeks, you can say pretty fast! Track to track. 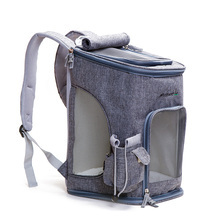 Backpack arrived in black плотнлм package, hesitated, as it was difficult, but do not worry, smoothed in socks. Goods satisfied, a marriage, all zipper work. 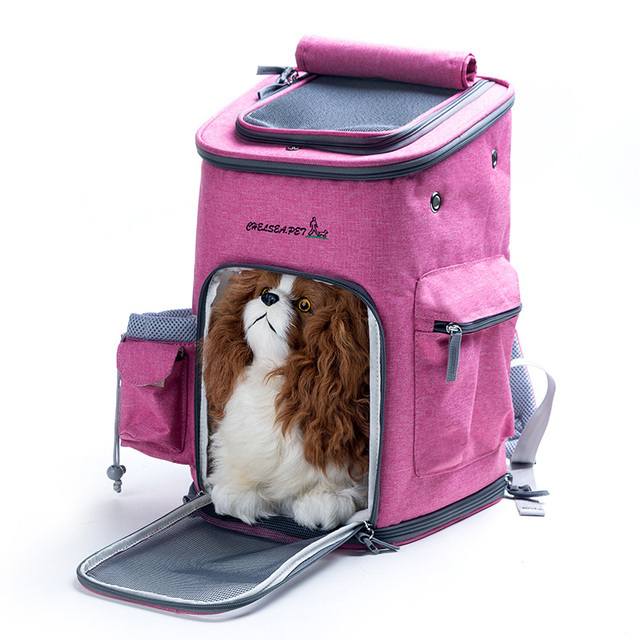 Roomy, took a toy poodle, but cats more came to taste, climbed to and fell asleep, inside is comfortable, the bottom of a soft cloth. Shape to wear the back perfectly holds on account of a solid framework of top and bottom, back is thick and soft. Wide straps and comfortable. All is left to chance, top fabric магниной button, rolled and fixed. 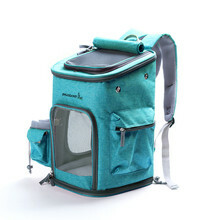 The All zippers dogs now connects together additional clasps, cat inside does not open and not выберется out. Very glad that not продешевилась and bought this model. Great bag I love it!! Very high quality. Awesome! Seller A++++++! Fast shipping, best quality! perfect carrier. she loves it and stays in it . thanks store. great and great product. Спасибо за быструю доставку. Качество хорошее. Очень переживали, что придёт с браком, но, тьфу - тьфу, всё очень даже. С продавцом не общались. Доставка в Ростов где-то около 10 - 14 дней. Спасибо большое. Очень быстрая доставка. simple backpack wonderful, and highly functional добротный! very fast shipping, all sentences are true. We like it, thanks. excellent quality backpack. the only thing have odor, new machine like salon) delivered safe and sound! bichon поместился. Product is true to description, the design and quality is good. I would buy another one if need be!! this really is i искала! very carrier and function. high quality sewing, ровненько all, продумано. from enthusiastic i! hope сомневающимся decide to my photo :) the store very excellent quality and fast delivery! very satisfied! great qualité and design with safety locks at every zipper!